However, they can be tricky to get working properly. If you’ve run into some trouble, the tips below will hopefully help you get everything in working order. Using Webpack, specifying devtool: "source-map" in your Webpack config will enable source maps, and Webpack will output a sourceMappingURL directive in your final, minified file. You can customize the source map filename itself by specifying sourceMapFilename. Note that even if you generate sourceMappingURL properly, it’s possible that it isn’t appearing once you serve your final version in production. For example, another tool at the end of front-end build toolchain might be stripping comments — which would have the effect of removing //# sourceMappingURL. Or your CDN might be doing something clever like stripping comments unknowingly; Cloudflare’s Autominify feature has stripped these comments in the past. Double-check your file in production to make sure your comment is there! Instead of this magic sourceMappingURL comment, you can alternatively indicate the location of the source map by returning a SourceMap HTTP header value when requesting your minified file. Let’s assume that you’ve properly generated your source map, and your sourceMappingURL (or SourceMap header) is present and correct. Parts of the transformation are clearly working; for example, error stack traces now mention your original filenames and contain sensible line and column locations. But despite this improvement, there’s a big piece missing — you still can’t browse your original source files using your browser’s debug tools. This likely means that your source map doesn’t contain or link to your original source files. Without your original source files, you’re still stuck stepping through minified code in your debugger. Ouch. It’s possible to inline your entire original source code into the source map itself. Inside the source map, this is referred to as sourcesContent. This can make for really large source map files (on the order of megabytes) but has the advantage of being really simple for browser agents to locate and link up all your original source files. If you’re struggling to get your browser to find your original sources, we recommend trying this. If you’re using Webpack, there’s nothing to do here — Webpack inlines your original source code into your source maps by default (assuming devtool:"source-map" is enabled). Instead of inlining your original source files, you can instead host them on your web server such that they can be individually downloaded by browser agents. If you’re concerned about security — these are your original source files, after all — you can serve the files via localhost or make sure they’re protected behind a VPN (e.g., the files are only reachable via your company’s internal network). If you’re a Sentry user and your primary goal is making sure source maps are available so that Sentry can unminify your stack traces and provide surrounding source code, you have a third option: upload your source files as artifacts using sentry-cli or directly via our API. Of course, if you do either of the first two options — either inlining your original files or hosting them publicly — Sentry will find the content that way too. It’s your call. If you were to use the source map generated by this command, you’ll notice it won’t be accurate. That’s because the source map only converts from the minified (Uglified) code back to the code generated by Babel. It does not point back to your original source code. Note this is also common if you’re using a task manager like Gulp or Grunt. Instead of using Babel or UglifyJS separately, use them instead as Webpack plugins (e.g., babel-loader and uglifyjs-webpack-plugin). Webpack will produce a single source map that transforms from the final result back to your original source code, even though there are multiple transformations taking place under the hood. If you’re committed to using multiple compilers separately, you can use a library like source-map-merger, or the source-map-loader Webpack plugin, to feed the results of an earlier source map into a subsequent transformation. If you have a choice in the matter, we’d recommend pursuing the first option — just use Webpack and save yourself some grief. Let’s say you’ve followed all of the above. Your sourceMappingURL (or SourceMap HTTP header) is present and properly declared. Your source maps include your original source files (or they’re publicly accessible). And you’re using Webpack end-to-end to manage your transformations. And yet, your source maps still periodically create mappings that don’t match. There’s a remaining possibility: bad transforms caused by mismatched compiled files and source maps. This happens when a browser or tool downloads a compiled file (e.g., script.min.js), then attempts to fetch its corresponding source map (script.min.js.map), but the source map it downloads is “newer” and corresponds to a different version of that compiled file. This situation is uncommon but can occur if a deploy is triggered while you’re debugging, or you’re debugging using browser-cached assets that are about to expire. Versioning this way will ensure that each browser agent downloads the source map that belongs to each compiled file, avoiding version mismatches. If you’ve read this far, you should be fairly equipped to fix source map transformations and debug like a pro. Nice work. Think of something we missed? We look forward to your email. 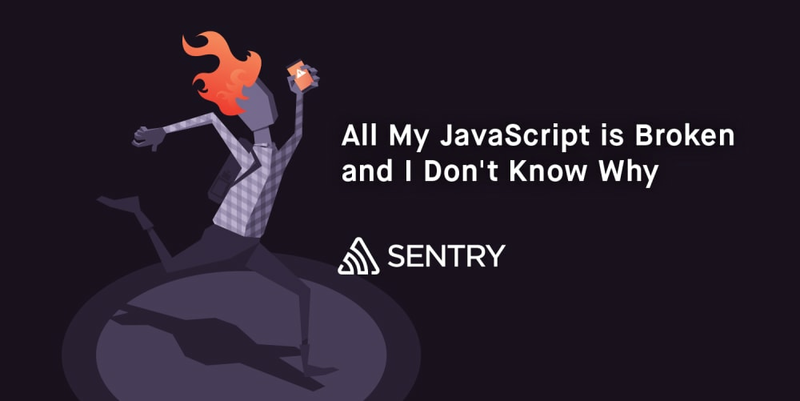 We also highly recommend checking out the Sentry documentation on this topic. Your application has too many bugs. We can fix that.